Troy, Michigan – November 6, 2017 – Champion Modular, Inc. is pleased to announce that — as part of its 2016 acquisition of multiple manufacturing plants and renowned modular home brands — it is revitalizing and re-launching All American Homes®. 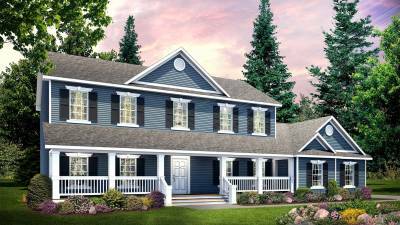 This series of more than 25 ranch, bonus-ranch, cape and two-story modular homes features high-end craftsmanship at affordable prices. The All American Homes' legacy began in the 1970s and, after changes in ownership and a brief hiatus, officially debuts January 17 – 19, 2018, at the Louisville Manufactured Housing Show in Louisville, Kentucky. It is during this industry-exclusive show that Champion Modular will unveil the first home in the lineup: The Brooklyn, a three-bedroom, two-bath ranch model, showcasing the latest in design, styling and smart-home technology. "Just as with Champion's other brands, we know the pillars that will make All American Homes a success are its innovation, premium craftsmanship and commitment to integrity," said Mark Yost, president of Champion Home Builders. "This new line is a continuation of an undeniably rich heritage, but it is also so much more than that. It is a reflection of this brand's evolution — an evolution that mirrors the tastes of its customers and fits their diverse wants, needs and lifestyles." "Our goal was to not only reestablish the All American Homes brand, but to reinvigorate it," reflected David Reed, vice president of Champion Modular. "To do so, we hit the road and spoke directly with many former All American customers, incorporating their feedback into our formula for success. The result is a solid product offering that integrates the preferences of its customers, but does so without sacrificing quality or affordability." "All American Homes was a top modular homebuilding company for decades, so we are very happy to see it return," said Bob Lang, owner of LaPorte Housing Specialists, Inc., in LaPorte, Indiana. "We have nothing but great memories working with All American in the past and look forward to once again championing the All American name." All American Homes' select building materials and amenities include cabinets by Merillat®; faucets by Kohler®; appliances by Whirlpool®; and Silver Line® windows by Andersen Windows and Doors®. Detailed product information and pricing will be available at the 2018 Louisville Manufactured Housing Show. To learn more about All American Homes, visit allamericanhomes.com. Champion Modular is a wholly owned subsidiary of Champion Home Builders and was established in 2016 as a company strategically focused on modular construction. The company specializes in high-quality single-family homes, upscale customized homes and commercial structures. Champion Modular products are built under the All American Homes®, Excel Homes®, New Era Building Systems™, New Image Homes®, North American Housing and Champion Commercial Structures brand names. Founded in 1953, Champion Home Builders specializes in a wide variety of manufactured and modular homes, park-model RVs, and modular buildings for the multi-family, hospitality, senior, and workforce housing sectors. Champion started as a single manufacturing facility in rural Michigan and grew to offer factory-built housing and other structures throughout the U.S. and western Canada. The company operates 28 manufacturing facilities throughout North America and employs more than 5,200 people. 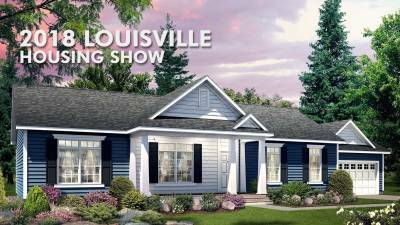 All American Homes debuts at the 2018 Louisville Housing Show!